Have you ever wanted to unlock Truffle? Ever wanted to move your glowing mushrooms onto the surface? Well this guide will tell you how to! 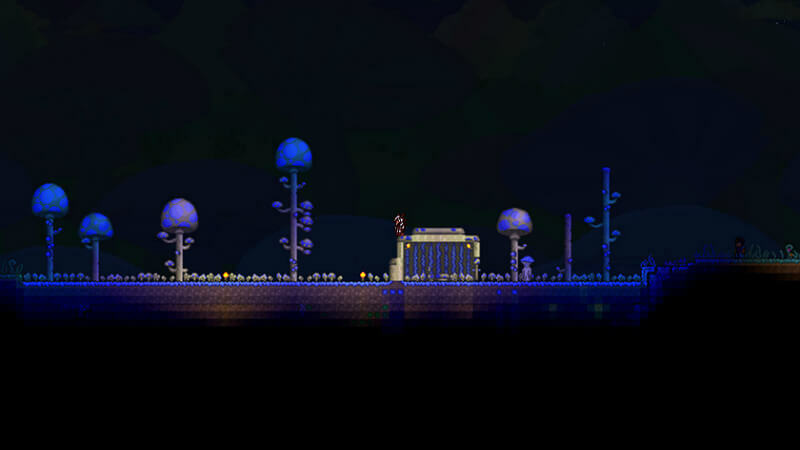 First find an underground glowing mushroom biome, found at around rock layer and dirt rock layer. It has some difficult enemies so come prepared. 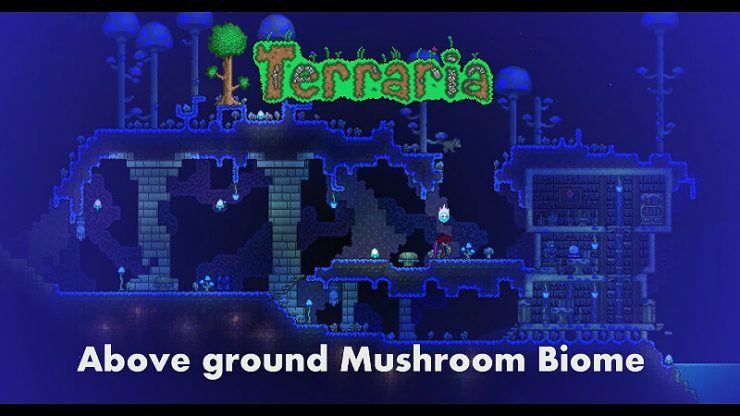 In order to place mushroom grass seeds you will need mud blocks (craft with dirt at water) and, of course, mushroom grass seeds (dropped from glowing mushrooms underground). First, find a unimportant area (like a hill or flat area) and make a strip of mud, then place your mushroom seeds and wait, a couple of in game day. When your mushroom biome is complete (it needs to be at least 50 to 100 blocks in size), you can build a nice house for Truffles, preferably a mushroom house, wait until morning and tada, you should now have Truffles! (If Truffles hasn’t spawned, it’s likely that your house isn’t correctly made or because you are not in hardmode). Just be warned, during certain events, mushroom biome enemies will spawn, and they can, and quite possibly, will kill your villagers. 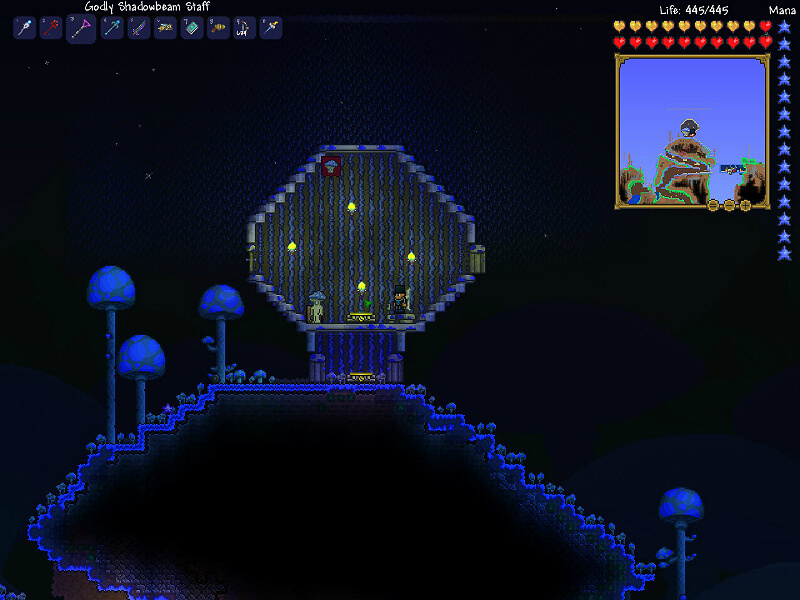 My mushroom house and biome. (Blocks used are glowing mushroom blocks).